Apple has managed to reduce the manufacturing cost of its iPhone X successor to a level much lower than the current flagship model, according to DigiTimes' research analyst Luke Lin. Lin cited information from Apple's upstream supply chain as indicating that the new device's MBOM [manufacturing bill of materials] will be more than 10% lower than that for iPhone X. 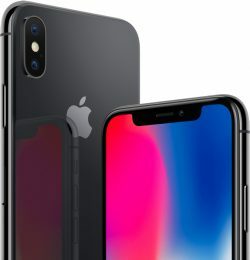 He added that the MBOM of the iPhone X was more than US$400 in 2017. Apple is rumored to be introducing three iPhones in 2018: The first is said to be a second-generation version of the iPhone X, with the same 5.8-inch OLED display, while the second can be thought of as an "iPhone X Plus" with a larger 6.5-inch OLED display. Lin reckons weak demand for iPhone X meant Apple needed a lot less OLED panels from Samsung than it said it would, which gave the Korean firm more bargaining power with regards to panel quotes for the next generation of iPhones. However, Apple has supposedly reached an agreement with Samsung and secured "satisfactory terms" that will prevent display panel cost increases. DigiTimes' sources often provide reliable information, but the site has a mixed track record when it comes to interpreting that information and accurately deciphering Apple's plans, so it would be wise not to base any future purchasing decisions on today's report. Now give me back my LCD. That’s nice man. And really, the quoted text is all you had to write. I don’t know why people ditching iOS always follows some kind of justification. No one cares. If you come back a year later no one cares. If you stay no one cares. I don't care if you care or not, silly. I've been using Apple stuff for 20 years, and up until recently I have existed in that eco system pretty much exclusively. I'm a pro user, and it turns out that costs matter in business. At the beginning of the 2000s Apple was really the only game in town for digital creatives, so we stuck with Apple stuff. That's all very well, but slowly Apple have 'ditched' as you put it, various Pro centric software and hardware in favour of consumer devices. An iPad Pro is a fantastic computer, but it's still not going to cut it as a workstation. Cutting off all of the connections on a MacBook pro in favour of a fairly useless Touch Bar and neutering the RAM is kicking pros in the guts. But there never used to be an alternative. The point is that the alternatives have caught up, and in some cases overtaken Apple. And for less money. I used to think that iOS was the only OS. It works out that android does a lot of things better, and it turns out that it doesn't matter anyway. Microsoft have a superior cloud platform (over iCloud)and Google are open house when it comes to software and digital assistants have left Siri way behind. Apple Music is great, but then so is Amazon Music, or Spotify. So let me help you out. You say you don't know why people ditching iOS have to justify it - well I don't. But the glory of the internetz means I can. I use iOs on my iPad. I use android on my Google Phone. I Use One Drive for my cloud services. I use Amazon for my Music. I use an iMac for my business, and my wife uses a PC for hers. That wasn't possible 5 years ago, maybe even less. I thought I'd never be able to not have to only use Apple for services and would have to pay the premium, but now I don't. You don't have to care about that, but on a forum that's discussing the merits of a phone that is over $1K that even die hard iOS fans don't have to own when the competition is better (for some things), cheaper (in every case), and less restricting, less of a walled garden, then some people might actually find that it's of use to actually (ironically?) "Think Different" for a change. I don't need you to care and I don't need you to advise me on all I had to write, when in the end I could just throw that one right back atcha, mate. We need an iPhone X-style "all screen" iPhone with reduced size and weight. Bring it back to around the iPhone 6/7/8 dimensions, or even slightly smaller. But with the larger all-screen display. This is basically what the X is. Too late - Already bought a Pixel 2. I'm selling my iPhone 7 which was probably the peak point for the iPhone (the 8 being almost exactly the same). There's a limit to what I (and a lot of people, apparently) will justify spending on a phone, no matter how forward thinking it is. Likewise I haven't installed any internet of things in my 120 year old house, because I can switch the lights on myself. And I can boil the kettle and change the thermostat etc. The point is - I just don't need all of this technology. Some of it's nice, but at what cost? What's the environmental impact? Isn't that what the iPhone X already is? Are you confusing yourself? As an iPhone X owner, the price of the next phone had better drop. There is no way I’m going to pay $1K for the iPhone Excess. NOOOOOOOOOO! I DON'T WANT TO GO BACK TO A PHABLET JUST TO HAVE THE TOP END SPECS! Please stop with the Android compare. Compare that with the $950 Note. Why should ANDROID owners pay a premium for a phone that runs Android and costs 3X as much? Apple users pay more because of iOS, support, fashion, etc. Please stop comparing iOS to Android like they are the same. No one wants Android when they use iOS. It's better to ask Android users why they buy flagship Android phones. I use iOS and MacOS too, and I also use Android devices. I want and prefer Android because I think it's better, more open, more versatile, and less closed off. I know that doesn't mean anything to you, but there you go. The idea that paying more for iOS makes it better is out of date. It's not 2008 any more. They should have never priced the X at over 1k. Apple makes enough money from their die-hards and small initial profit margin wouldn't have killed them if they knew overtime they could reduce costs. I guess. Whatever works for you. $200 is nothing though. $200 is not nothing. Its still $200 that can buy food for a week at least. (months in certain countries). Also, to those that say this is not a phone and they don't need to buy gps, camera etc.? Please wake up! That time has passed for this justification. EVERY phone now has these features so that lame excuse no longer works. iPhone X might be technically powerful but design and price is awful and Apple did cross the line here for many customers. Overall, I really hope that people will vote with the wallet this time as otherwise we will have Apple PHONES costing $2000 soon or more! and btw. all these technological marvels usually come in 2-3 years to all mid range phones so people really need to ask if having the latest and greatest at the time is really crucial to them or if they are just spoilt brats. its business as usual.... lower the cost to grab all they can get, then raise the prices because we can't keep selling at this low price point.